Top tips to help your emails get delivered successfully into customers' inbox and not into spam. Crafting the perfect email is more than just visual design, it also needs to be optimized for email delivery. How are emails marked as spam? Spam is considered to be an email that contains irrelevant and often commercial advertising, that is sent to large groups of users. Spam filters are a dynamic protection filter that checks emails after they have been sent and before it reaches a customers' inbox for any unwanted emails. If the customer deletes an email without opening, this notifies the email service that the customer doesn't want to see these emails. These emails will then be identified as spam and start to be sent to the customer's spam folder. 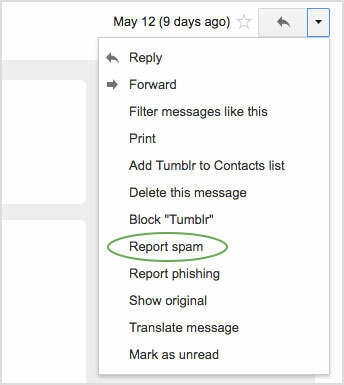 The customer can make a spam complaint by selecting the specific email and marking the email as 'this is spam' or 'Report spam' in their inbox. The email service will then prevent any email from that email address from entering the customer’s inbox; instead it will be delivered to their spam folder. Each time an email is sent the email services' spam filter processes it. The spam filter looks at the customer’s previous interactions with your email campaigns and uses a points system to check the email template. This points system looks for spam indicators and assigns the appropriate points. The points total will determine whether the email will make it into the customer’s inbox or not. Make sure that your email subject line isn't misleading. Tell your customers why they are receiving this email and the value they'll get from opening it. This encourages customers to open your emails and read what's inside. Customizing your Send From Name is a simple and effective way to help your customers recognize your email and entice them to open. Try using your store name, your staff names or even a combination of both. 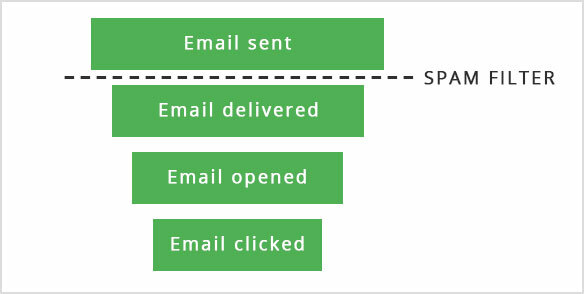 If you have set up a drip email flow or email campaigns, make sure that you schedule a gap between your emails. Sending multiple emails within a short space of time can trigger spam filters. Spam filters look closely at subject lines and email content for spam trigger words, special characters and CAPITAL letters. Try to write creative & personalized email content to connect with your customers. Email templates that are image heavy or are only images will automatically trigger spam filters. Email template best practices include the ratio of 60% text with a maximum of 40% images. When designing your email template layout, keep it clean and simple. Having too many design elements can also be a flag for spam filters. Try to avoid using background colors, large font size and using more than one font. Make sure the primary action you want customers to take is apparent. For example, if it is completing their abandoned cart, include a call-to-action button that smoothly directs the customer back to their cart. Having multiple links can detract from the primary purpose, as well as being another spam trigger. 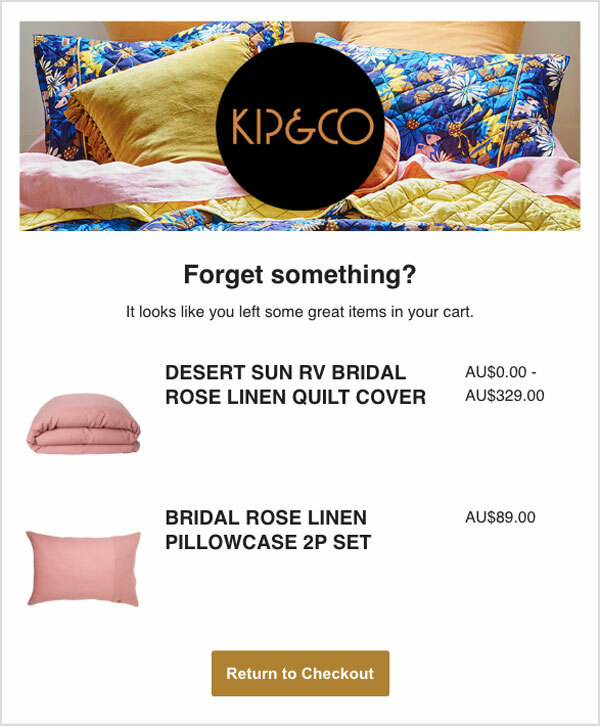 To ensure it’s eye-catching, use contrasting button background and text colors, and actionable wording that will drive users to click through to complete their cart. As part of the Email Anti-spam laws, including a valid physical address is a legal requirement for sending emails. Not having a valid physical address will mark any email sent, as spam. A common characteristic of spam emails is spelling and grammatical errors. These errors can be hugely distracting for readers and will often come across as lazy and unprofessional. Look carefully for typos before sending your email. Tools like spell check or Grammarly can help you identify these errors, provide suggestions and write mistake free emails. We’ve created simple and clean HTML base email templates - Spam filters check the HTML tags and source code for tricky and formatting errors. We've created HTML base email templates that are clean and simple which will help to avoid spam detection. Best practice default templates - We've designed email templates from what we know works and to comply with CAN-SPAM Act regulations. Provided an opt-out option so users can unsubscribe to emails - An unsubscribe link is automatically added to your emails to allow the customer to choose if they don't want to receive these emails. Honor opt-out requests - Customers who opt out of your emails will not receive any emails to that email address going forward. We are continuously looking for ways to prevent spam filtering and using data to create the most effective email templates, to encourage your customers to shop again.